I travel to Seattle for work every few months. Most of the time I'm headed back to St. Louis on the 6 am direct flight, meaning I'm up when the clock says 3-something. By the time I get to the airport and turn in my rental car, I'm still half-asleep, but ready for breakfast. Very few things are open at the airport at that time of day, and even fewer with breakfast options. Lately I've been stopping in at one little restaurant to pick up an egg sandwich. It's warm and hearty and fills me up before I take a little nap while I head east. 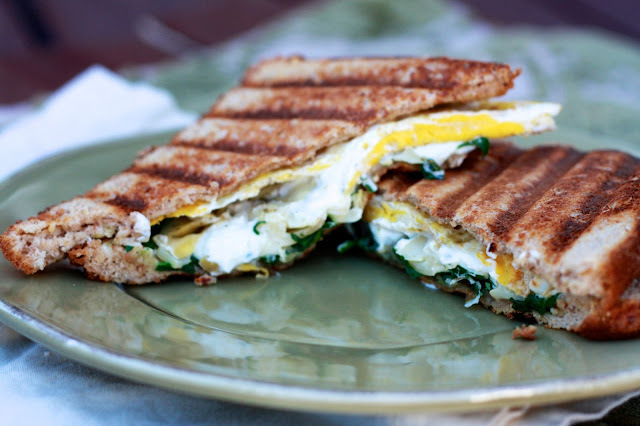 They call the sandwich the "Egg Florentine" and it's an egg patty oozing with white cheese, spinach, and artichokes. It's a bit greasy, but totally hits the spot after only a few hours of sleep! I've been meaning to recreate it for some time now, and finally got around to it a few Saturdays ago. Make the egg patties in the skillet were surprisingly easy, and while they were cooking I chopped up some spinach and artichokes. While it would've been more like the original to use mozzarella or another similar cheese, I stuffed it with goat cheese instead. 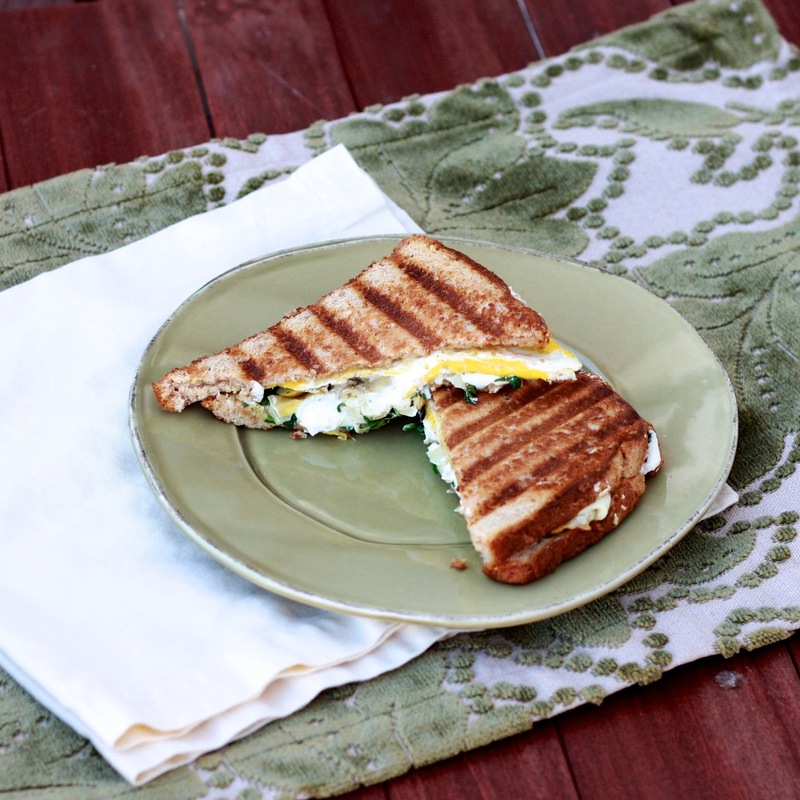 Pressed in our panini press, this was actually better (and certainly less greasy!) than my airport standard. I wasn't the only fan--Ryan mentioned a few times how much he loved it. Now that I've found a replacement, it looks like I'll need to find something else to fill me up in the wee hours of the morning at the Sea-Tac airport! 1. Heat a medium skillet over medium heat and spray with cooking spray. In a small bowl beat 1 egg with 1 egg white. Carefully pour egg mixture into skillet and allow to cook until egg begins to set. Flip egg patty with a spatula and cook for an additional minute or two. Repeat with remaining egg and egg white to make second patty. 2. 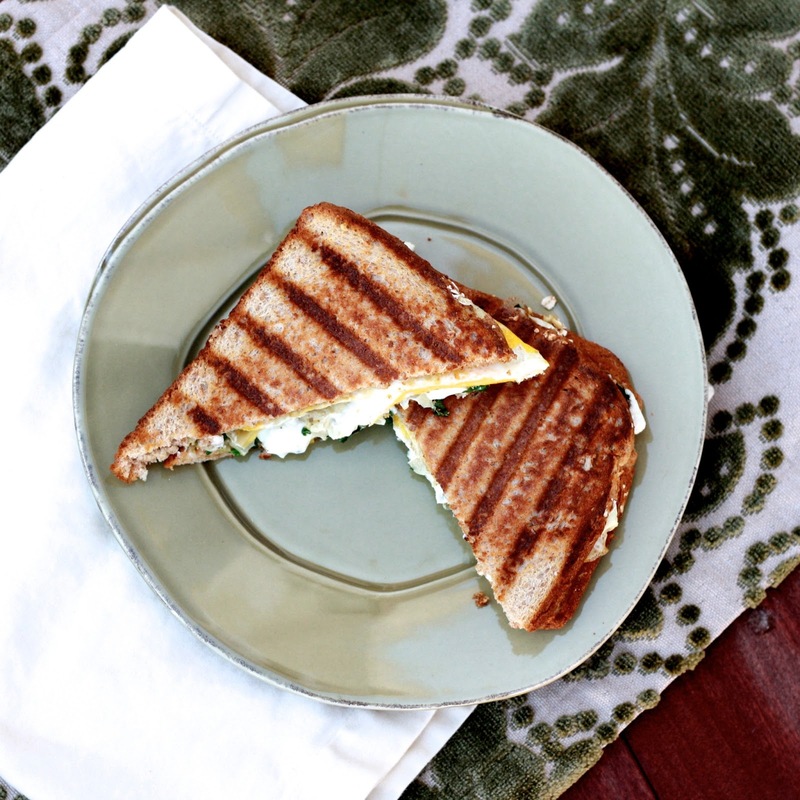 On one piece of bread, layer half of the spinach, half of the artichokes, and half of the goat cheese. Top with one egg patty. Finish with second piece of bread. Press sandwich in panini press and cook until crisp and browned. 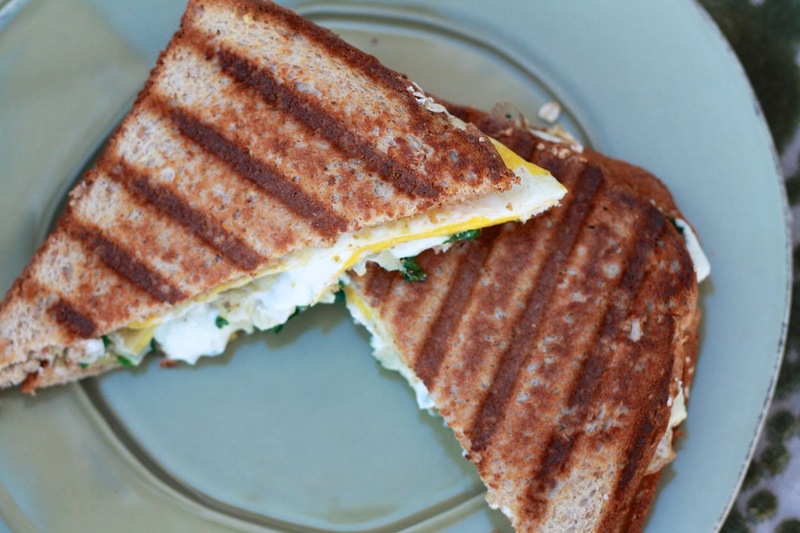 (If no panini press, cook on a buttered skillet as you would grilled cheese). 3. Make second sandwich with remaining ingredients. Cut sandwich in half and serve.